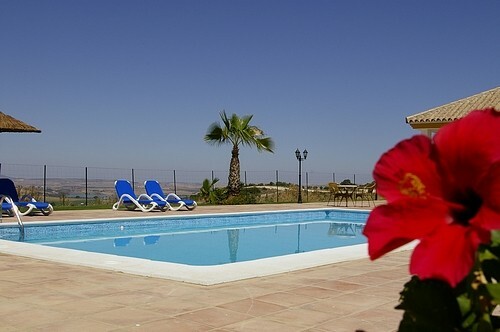 A stylish B&B Casa Rural in a typical cortijo style located in the famous white village Arcos de la Frontera. 30.000 square meters of tranquillity, half the area covered with ancient olive trees. 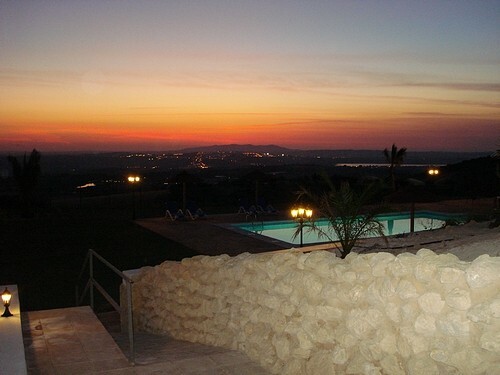 Our grounds border at the golf course, with splendid views on the ´greens´and towards Arcos town. Our cortijo has 6 tastefully decorated guestrooms and one self-catering casita. The rooms are decorated in different themes with sparkling names such as Toro, Flamenco, Fino, Olivo,... Spacious bathrooms, beautiful surroundings and the private terrace with magnificent views give that extra at your stay at Cortijo Escondido. 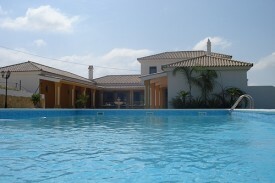 Did you stay in Cortijo Escondido? Let us know what you thought about it and help others to make the right choice! * I confirm having stayed in Cortijo Escondido. Find other bed & breakfasts in Arcos de la Frontera or all bed & breakfasts in Andalusia.